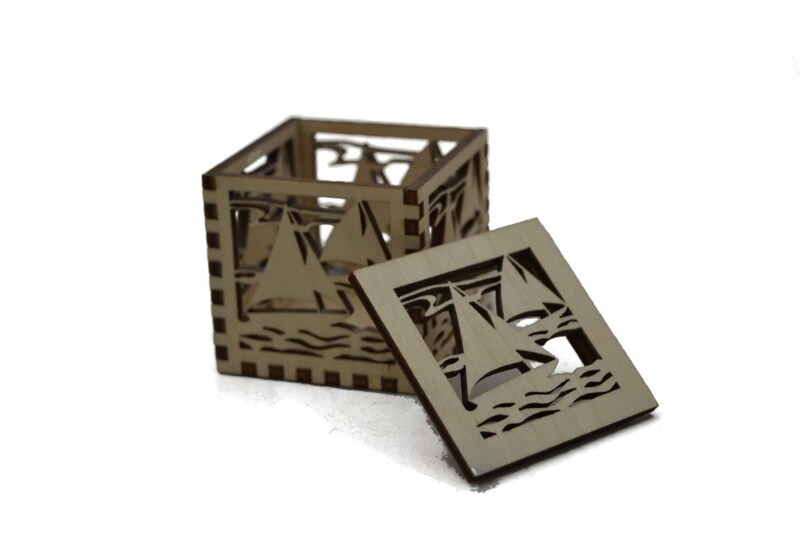 This tiny cube box with lid measures 1 7/8" (4.8 cm) per side. Made from 1/8 inch (3 mm) Baltic birch plywood. 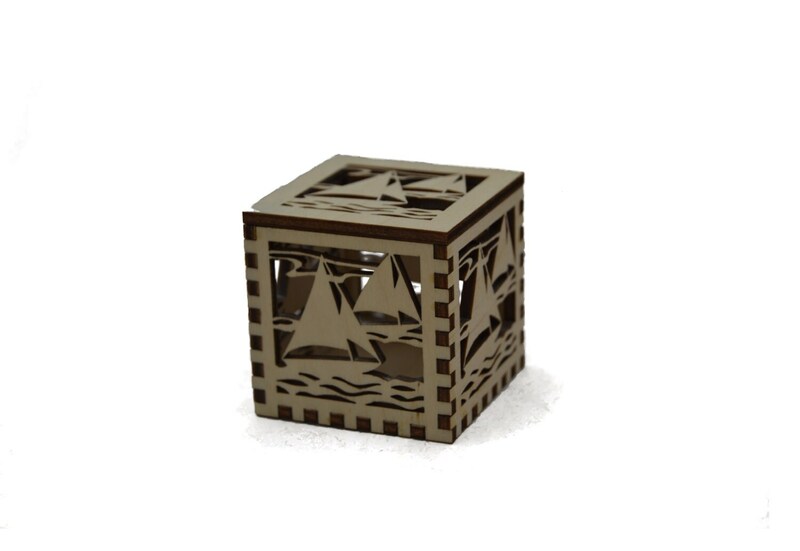 This little box is the perfect container for something special for your sweetie.